Unique to the Twin Cities. Dedicated to artists who design and handcraft original works. Smell the welcoming aroma of smoke from the wood stove. 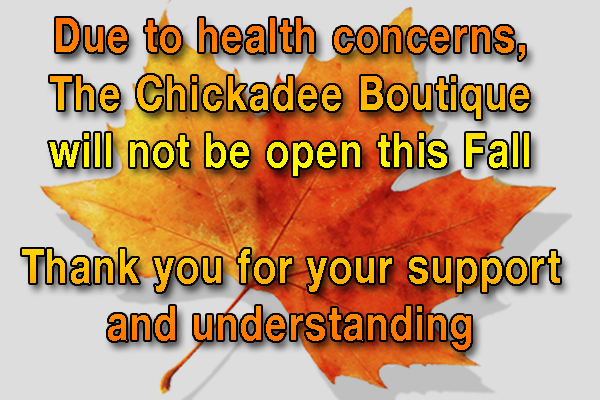 The Chickadee Boutique - We are unique! Nestled among oak and pine trees on a large residential lot lies the stone cottage that is the Chickadee Boutique. Built in the early 1940's by a Swedish immigrant stone mason, the architecture reflects a European influence. Jacci and Mike Krebsbach moved into the two story cottage in 1971 and lived there until they built their home on the same lot in 1977. 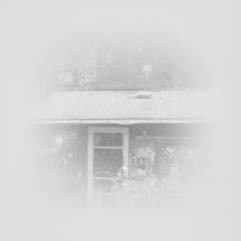 The Chickadee Boutique was started in 1979 by six artistic friends and one friend who owned the building! Originally a 3-day Boutique, the popular Chickadee soon expanded to a "seasonal gift shop" open on Thursday, Friday and Saturday. As you walk down the long tree-lined drive, you will smell the welcoming aroma of smoke from the wood stove. In the spring, budding lilacs and maples welcome back the birds after a long winter. Unique to the Twin Cities, the Chickadee Boutique has maintained its dedication to artists who design and handcraft original works such as pottery, jewelry, floral arrangements, fabric, clothing & accessories, stained glass and furniture. From quirky to quaint, traditional to contemporary, primitive to global, the Chickadee Boutique offers something special for everyone. Garden art and architecture have proven popular at the Chickadee Boutique, and these items are displayed in a natural setting. Stepping stones, metal gates and arbors as well as metal & glass garden art tempt the gardener in us all. The books and CDs are products of local & regional talents. Authors and artists make personal appearances at the Chickadee Boutique. There are food samples daily to tempt the visitor and soups, breads, jams, honey, cookies and candies are all available for purchase. Although not a crafter or artist, Jacci enjoys doing the merchandising using primitive and antique furniture for the displays. She works to make you feel at home here and fulfill your needs, "You don't go to the Chickadee, you experience the Chickadee!"